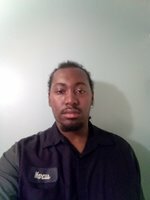 I am a very hard working mechanic that believes the customer is always first and the job should always be done right the first time. I enjoy meeting new customers and working on cars. Good man, was honest and did the job. Marcus arrived early and was very professional. Completed the job on time and to specs. Very knowledgeable. If you have a Chevy, this man has the factory expertise. Marcus did a great job replacing the brakes on my care! Highly recommend him to anyone looking for service. He arrived early & told me I just needed a belt replacement instead of a new alternator.. He went to the nearest parts store & came back to replace it.. He is also professional and courteous..
Great mechanic; with an awesome and friendly personality. Marcus showed up an hour early and diagnosed and fixed the problem within a few minutes. The screeching noise along with difficulty turning the steering wheel when first starting up car was the belt tensioner needing adjustment from a previous mechanic who replaced the belt but did not adjust properly. I agreed with his inspection report of what else my car would need. His honesty and integrity is much appreciated. I will be scheduling Marcus to come back for the remaining repairs indicated in his report. Marcus was very punctual, friendly, and efficient! It was a seamless experience and I’m very happy with the result! He showed up early and finished fast. Thanks for picking up the windshield wiper fluid and antifreeze! Marcus was fantastic! He arrived early, was professional, and completed the work in an safe and expeditious manner. Great experience. Marcus is highly professional. Was right on time. Completed the repairs in a timely manner while clearly demonstrating a mastery of mechanical repair. Highly recommend. Marcus was very informative with his findings. Although my car continues to over heat, he explained it to me and told me not to drive, unlike one of the prior mechanics' who told me it was fine and I then get stuck on the side of the road. Marcus was a total professional. I needed a new battery and when it turned out my car was so dead the door wouldn't unlock, he went above and beyond to find a creative solution to get the door open. He's skilled and cool under pressure and had the door open and the battery replaced in record time. I could not recommend Marcus more. He's truly the MacGyver of car mechanics. Marcus arrived on time, did his work efficiently, and was friendly as all get-out. Marcus was very friendly and professional. It started raining right before he got to the job but completed it anyways while getting wet. Job was done correctly. Thank you Sir! I love the fact he was early and how he was extremely knowledgeable about the services I needed done. Very Professional, Friendly and goes above and beyond but it seems this 2002 Chevy Astro Heating problem was way too complicated and beyond his knowledge. He tried hard to find the cause of the problem and make things work but was hard and time wasn't on his side and had to move on which i understand as In house Appliances Tech (Dispatched Technician with Company Service Van). I accepted his diagnose report but with doubt. My vehicle felt safer and more capable of high performance the as soon as Marcus completed his maintenance services and I started her up. When Marcus was explaining his concept of work and providing an overview, we identified a power steering leak that I tended to ASAP. What's more, I watched Marcus work and the dude knows what he is doing. Highly recommend his expertise, and I now know a mechanic I can depend on and trust for the future; my vehicle passed re-inspection quicker than I could order an egg n cheese sandwich. Marcus did a very good job, he show up on time and finish the job very quickly. Professional! Thank Marcus! Showed early,finished super fast,very thorough inspection. My experience was very pleasant. He was knowlegeable and very pleasant. Timely, professional and very knowledgeable. Marcus was friendly and patient while I found a better spot to park my car for him to work on it. Once he got to work he was fast and communicated clearly about everything. I could not ask for a better experience in an old change.